The changes will continue through July and are meant to make the intersection safer. 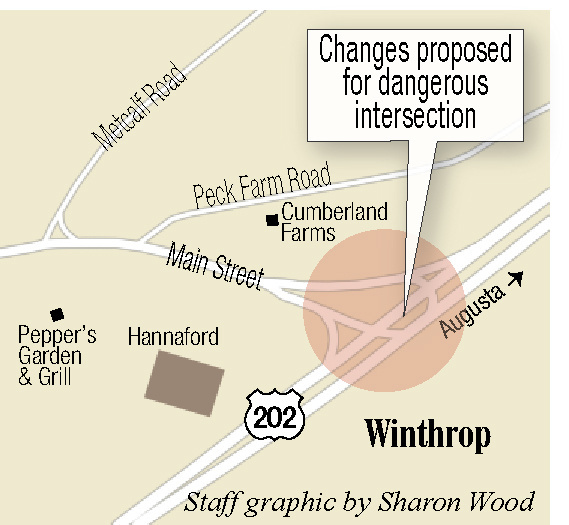 A construction crew recently began making changes at the intersection of U.S. Route 202 and Main Street in Winthrop, a project that will continue through July and temporarily reduce the speed limit along that section of highway. The project’s goal is to make it easier for drivers on Main Street to left onto busy U.S. 202, where numerous accidents have happened in the past. The project is being carried out by the Maine Department of Transportation. For travelers heading east on U.S. 202, the road currently consists of two through lanes. After the project, the eastbound section of U.S. 202 will be divided into a through lane and a turning lane with a grass island between them. Eastbound drivers turning left onto Main Street will get into the turning lane, and drivers trying to make a left from Main Street onto U.S. 202 will be able to cross into a different section of the turning lane. “It’s almost going to be like an exit ramp,” said Brian Keezer, a DOT project manager, when the project was still in the design phase last year. By simplifying the traffic pattern, the DOT hopes to reduce the number of crashes at the site, department spokesman Ted Talbot said in an email. In the last four years, at least 25 accidents have been reported in that area, including 14 rear-end collisions and 10 collisions of vehicles in the intersection. The project will continue until the middle of July, during which time the speed limit on U.S. 202 will be reduced from 45 mph to 35 mph, said William Crosby, a consultant who is serving as the resident engineer for the project. The roads will remain open during the project, but traffic will be shifted at different times depending on the work that’s taking place, Talbot said. 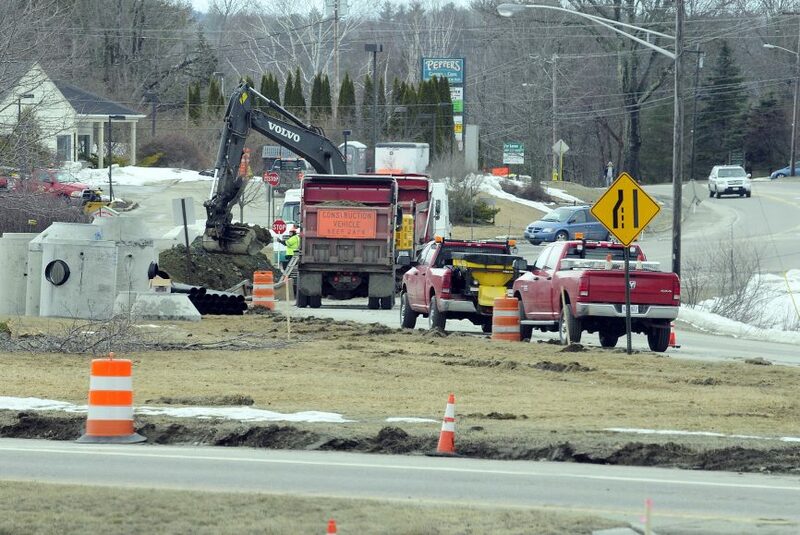 Workers will soon put electronic message boards along U.S. 202 and Main Street to alert drivers about the work ahead, Crosby said. The work typically will occur Monday to Friday, but the timing is subject to change. Workers first will be improving the drainage in that area by installing new culverts and catch basins, Crosby said. As the weather gets warmer, they will begin building the new traffic pattern.